How are you? What kind of job are you doing right now? Are you sharing part of your income with public welfare organizations? Are you, like many generous donors who donate to the Wild at Heart Legal Defense Association right now, sharing a portion of you’re earnings so that public welfare organizations don’t have to rely on government, can operate independently, and can bravely administer issues they are involved in? I hope and believe that you will do so. No matter how poor or rich you are, you will be able to share your time, experience, or money with others. “Sharing” makes both people and society richer. Being rich is not the same as having money but rather the willingness to share. I hope that the society you live in is very rich. In the society you live in, are job positions in public welfare organizations desirable? Do they receive reasonable compensation for their labor to achieve their goals without having to worry? Do people support these public welfare organizations, question government, and reform society in the long term? Will government handle matters reasonably with greater fairness because of the people’s questions? Will all have a better opportunity for growth and development? I used to believe that government acted for the betterment of the majority, because this is what government is supposed to be about and the reason why people pay taxes. After time spent working in the environmental movement, however, I have been exposed to different perspectives: the needs of corporations are pandered to but the cries of local people are ignored. Corporations seize land with government approval forcing residents out of their homes. Government administrations can spend tax dollars on advertisements to criticize courts of law and even proposals to revise laws. We elect the government through a democratic process, but if we do not continue to monitor and question this so-called democracy, the government does not necessarily act for the benefit of the majority. This is not only a danger to democracy but also a rallying point. We understand the problem and possible solutions. Public welfare organizations must become far more powerful so they can challenge government in the interests of the general public. Their power to influence must not be any less than the influence private enterprises have over the government. In the era I live in, public welfare organizations are usually small and poor, using very limited staff and resources to stand against government and enterprises. Will this ever change? Will young lawyers seek a career in public welfare organizations as their top priority? Will they choose the field of public welfare as a long-time career? When affluent enterprises influence government to protect the benefits of industry above those of the common people will there be people in the legal field to take the case; performing litigation and fighting for justice for the general public? When the heartless organizational structures of government and industry oppress some members of society, will there be anyone there to challenge the powers-that-be for a fairer system? I imagine you in a new beautiful era: the general public is willing to donate money and resources to support public welfare organizations so they can hire people to challenge controversial issues concerning the public. Where public welfare organizations’ money comes from the general public’s approval and not the government’s financial support. Professionals in the legal field, whether as full-time staff or volunteers, are actively involved in all kinds of non-profit organizations to secure human rights, realize social justice, and promote democratic law and order. My friends have told me: this “citizens’ society” era is about to approach. I believe in it and am excited about its arrival. P.S. This was written after the Environmental Jurists Association’s first annual conference and before Wild at Heart Legal Defense Association’s meeting on its vision. 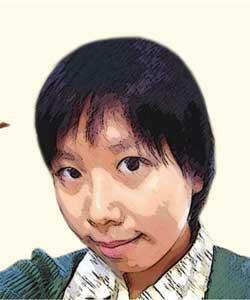 Ya-ying Tsai is a lawyer with Wild at Heart Legal Defense Association Taiwan and chair of the Environmental Law Subcommittee of the Taipei Bar Association.